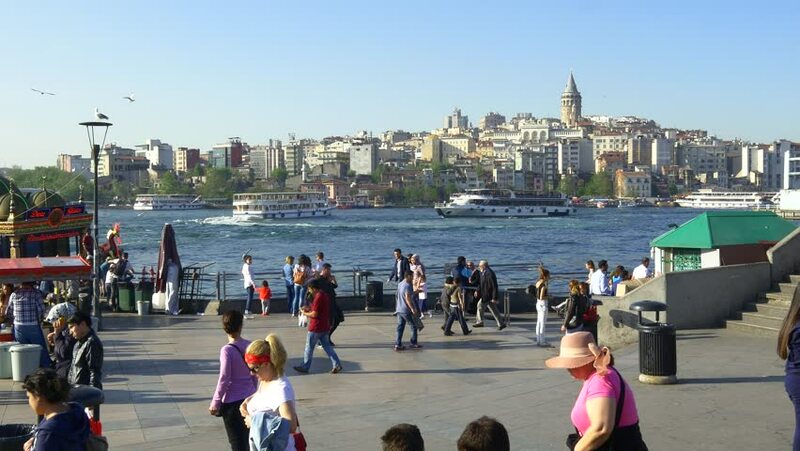 ISTANBUL - MAY 4, 2015: Crowd of people at Eminonu Pier looking to Goldenhorn and Galata Tower. Eminonu is the major trade and strolling center in the city. People of Istanbul. 4k00:12CZECH REPUBLIC, PRAGUE, SEPTEMBER 12, 2017: Crowd of people walking along the Charles Bridge, Prague, Czech Republic. Slow Motion in 96 fps. Top view of walking people and street artists by day.